The fact that James Waters was born in Kyoto, Japan, in 1930, the child of Methodist ministers, may or may not explain the composer’s lifelong preoccupation with the heartbreaking toll of war on human beings. When listening to his memorable settings of Stephen Crane’s ironic song cycle War is Kind and four poems of Walt Whitman’s from Drum-Taps for mezzo-soprano solo, chorus and wind ensemble, it is easy to picture 15-year-old James glued to radio bulletins about the desperate hand-to-hand fighting on Iwo Jima and the obliteration of Hiroshima and Nagasaki. His family had moved to America when he was two and during his teenage years lived in Arlington, Virginia, just across the Potomac from Washington, D.C. Jame’s father translated intercepted Japanese communications for the FBI. Young James’s world was already full of music. Having started out on the piano, because his legs were too short to reach the organ’s pedals, he now occasionally accompanied the church choir. At Westminster Choir College in Princeton, New Jersey, where he earned both his bachelor’s and master’s degrees, Waters majored in organ and conducting, but he was finding increasing satisfaction in composing music. The Ph.D. dissertation composition he wrote under Bernard Rogers at the Eastman School of Music in 1966, a setting of Three Holy Sonnets of John Donne, won the Louis Lane Prize and was conducted by Howard Hanson on the Festival of American Music. But Waters soon found himself growing restless with the constrictions of the 12-tone system, though, perhaps feeling the old church organist’s urge to connect with the secret hearts of his congregation, he had managed to bring a distinctive lyricism to his composition. His Lyric Piece for violin, clarinet and piano (1971), which began as a 12-tone row but grew into something quite unexpected, has been performed at least 10 times around the U.S. 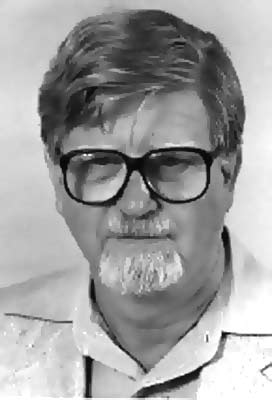 Awarded the Cleveland Arts Prize in 1993 for his excellence as a composer, Waters was also a distinguished educator who taught theory and composition at Westminster Choir College from 1957 to 1968 and from 1968 to 1996 at Kent State University, from which he retired as professor emeritus. An accomplished pianist, he is a past president of the Cleveland Composers Guild. James Waters’s compositions for voice, keyboard, orchestra and various chamber ensembles (published by G. Schirmer, Carl Fischer, Galaxy Music Corporation and Ludwig Music Publishing Corporation) have been widely performed by such forces as the Princeton Chamber Orchestra, the Aeolian Chamber Players and the 20th Century Consort. Distinguished interpreters such as Janet Alcorn, at Washington D.C.’s Kennedy Center, Janice Harsanyi, Daune Mahy and Mary Sue Hyatt have performed his songs, which include cycles on poems by Louise Bogan and Emily Dickinson. His viola concerto was given its world premiere by Marcia Ferritto and the Cleveland Chamber Symphony under the baton of Edwin London in 1988.